Is your kitchen in need of a makeover, but you don’t want to spend thousands on a remodel? Updating the look of your kitchen doesn’t have to cost a fortune. 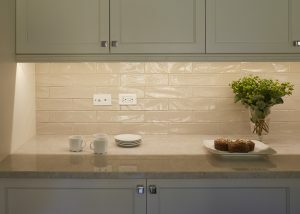 By updating a few accessories in your kitchen, you can have a whole new look. Here are some simple projects to start your kitchen revitalization. Cabinet and drawer knobs and pulls come in hundreds of shapes and styles and include simple rustic wood or popular brass knobs to jewel-clad pulls that add a luxurious look. From Rustic to Victorian to Modern, there is a knob for every style kitchen. As one of the industry’s leading suppliers of cabinet and drawer knobs and pulls, Van Dyke’s Restorers offers thousands of choices in every style and period. 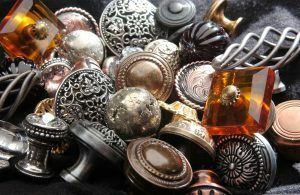 Whether your style is Primitive, Art Nouveau, or more Traditional, you will find just the right knob or pull including a large selection of drop pulls and depression-era glass knobs. Van Dyke’s is currently offering free shipping on knobs and pulls. 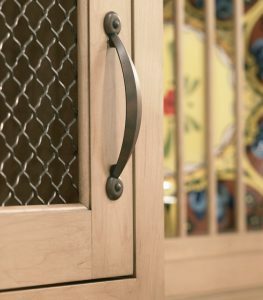 Cabinet hinges, like knobs come in a variety of period styles. Mortise, surface mount, lift-off, parliament, H-style, L-hinges, butterfly, strap hinges, offset – the styles and sizes are endless! 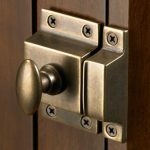 Van Dyke’s also offers over 50 cabinet latches including slide bolt, twist knob, bar-style, and more. Choose from Primitive, Traditional, Eastlake, Hoosier, and more. 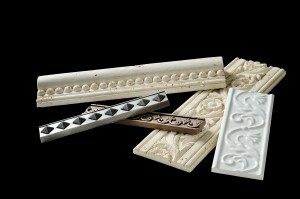 New molding will add a decorative touch to your cabinets. Molding choices include cabinet, trim, crown, and baseboard molding as well as chair rail. Available in Alder, Poplar, Cherry, Maple, Oak and more, cabinet molding features timeless designs like Rope, Bead, Dentil, Egg & Dart, and more. Molding and corners are also available in lightweight polyurethane. They are offered in many styles and have several advantages over wood. Urethane will not crack, split, or rot and resists insects. It is also less expensive and easy to install. Give your cabinets a lift with beautiful bun feet. They are available in over 150 styles and sizes to suit any project. 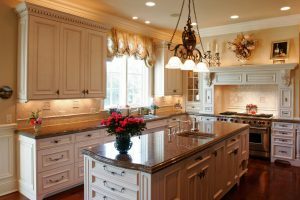 Under-cabinet lighting gives either ambient or task lighting to kitchen countertops, bookcases, china and curio cabinets, and anywhere additional lighting is needed. Van Dyke’s Restorers offers the Light Ready Rail Kit™ with four styles of molding ― Traditional, Contemporary, Rounded, or Beaded. Kits come with molding (5 wood choices) , power supply, 9 feet of lighting, controller, FlexTape, and linking cords. 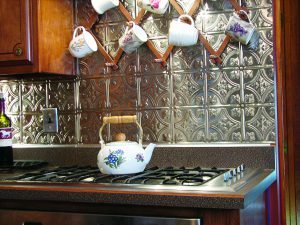 A new back splash is another simple project that will change the appearance of the kitchen. A popular choice and a break from traditional tile is stainless steel or copper panels. These stylish pieces come in an array of vintage and modern patterns. Some of the most frequently used designs include squares, diamonds, circles, flowers, leaves, wreaths, and scrolls. New thermoplastic backsplashes give the look of metal at a more affordable price. They are also lightweight, chemical resistant, and impact resistant. Another way to dramatically change the look of your kitchen cabinets is with decorative wire grilles or glass panels. 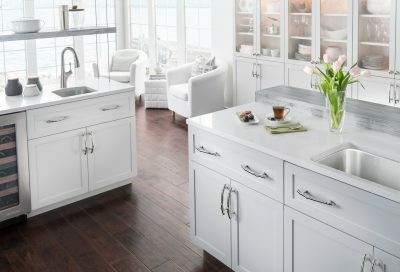 We have discussed these products in previous blogs, but as way of summation, replace some of the cabinets doors insets with one of 70 designs of wire grills or 90 styles of architectural glass. They are a great way to create a change of texture and breaks up a continuous cabinet arrangement. If you have the budget, a new sink and faucet is another great kitchen upgrade. From stainless steel to a fireclay farmhouse sink to a modern, eco-friendly copper sink, there are choices for any design style and budget. Faucets are sold individually or in a kit and are available in a variety of styles.